Accounting for around 15% of your body weight, your skin is not only a protective barrier, it is the communicator between the external environment and you. Miessence bathing, deodorizing, moisturizing and protective products serve to support and nurture your skin without impeding it's vital natural funtions. Delight in the aromatic sensations of invigoration citrus extracts, cold-pressed fruit and nut butters and exotic blossoms. 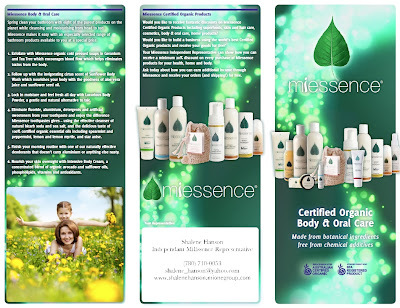 With choices like that from Miessence, who would want to use synthetic impostors?